Over the past few weeks, snacking, let alone eating, has been a challenge. 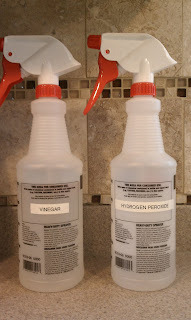 Both my husband and I are on a special diet, as a result of some hair mineral analysis testing we had done a few months ago. On this diet, you can't eat dairy, wheat/gluten, fried foods, sugar, or fruit, and you are limited to 2 small servings of grains per day. For the most part, you're eating vegetables and protein. After a while, it gets kind of boring and you want something crunchy (besides carrot sticks or celery)! I've been on a quest to find some healthy, vegetable-based snack foods. I had heard about kale chips before. 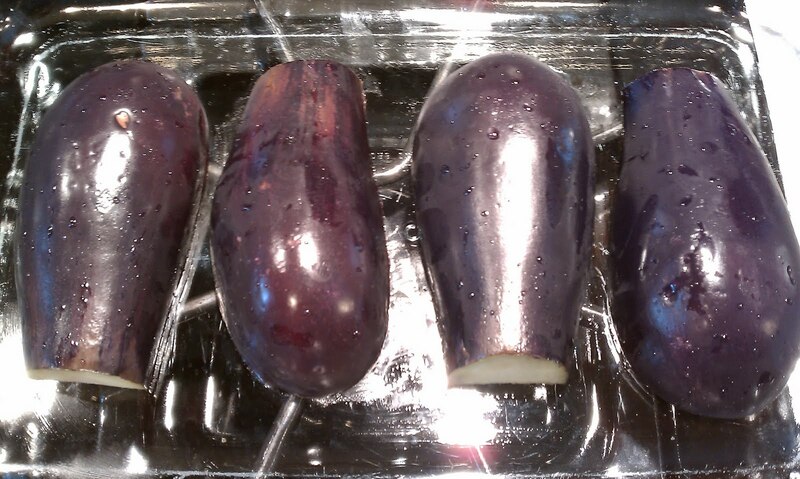 I watched a video on YouTube last week about how to bake them in your oven, so I tried it out. The pieces of kale that baked correctly were good. However, my oven doesn't seem to bake a tray of kale very evenly, so I had more than half of each batch with either burnt pieces or uncooked pieces. 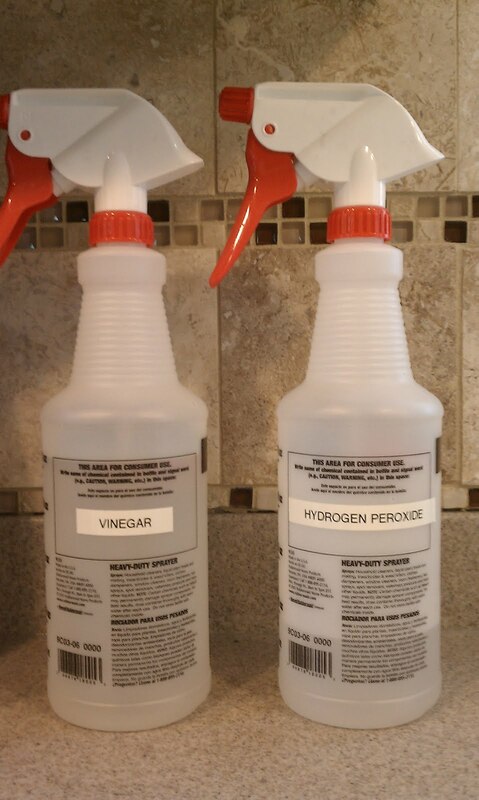 I tried twice, but was still not getting the results I wanted. 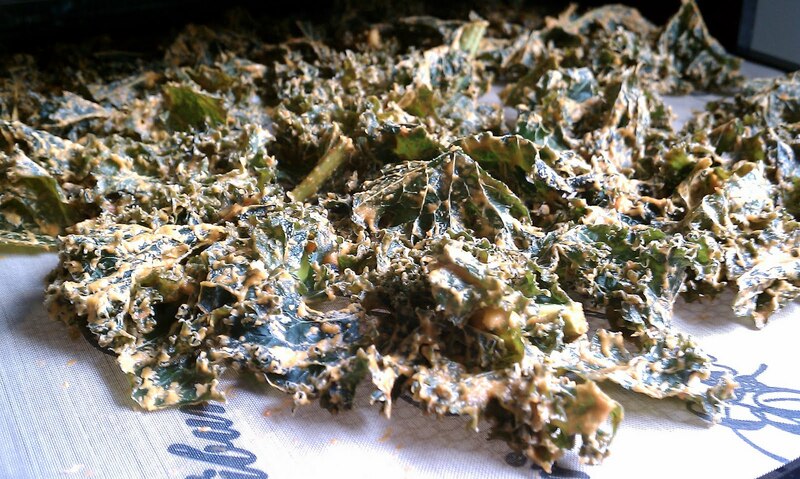 Yesterday, I was looking around in my Ani's Raw Food Essentials cookbook, and I noticed a recipe to make kale chips in the dehydrator. I thought this might be a better method to make them without the mixed bag of results I was getting in my oven! 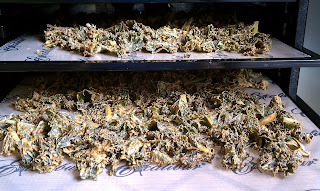 I made up a batch last night, and was very happy to find some tasty Cheddar-Kale Chips in my dehydrator this morning! Put all ingredients, except for the kale, into a blender. Blend into a thick cream. In a very large mixing bowl, toss the blended pepper mixture with the kale, coating all pieces evenly. 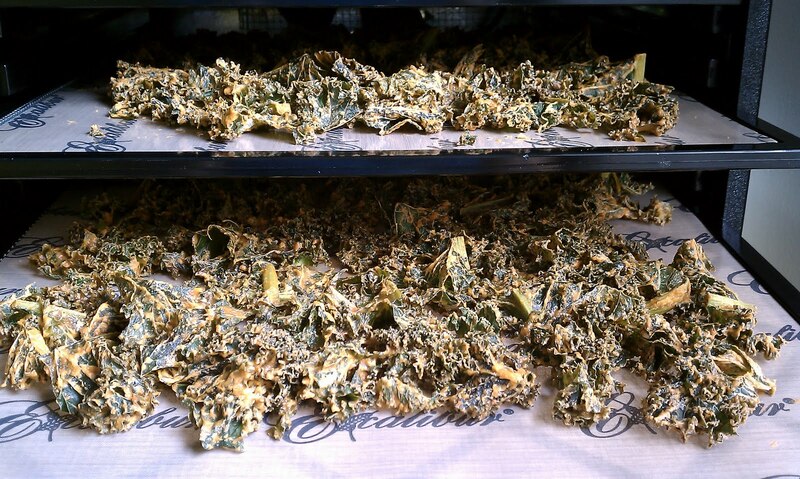 Spread kale into two 14-inch-square dehydrator trays, and dry at 104 degrees for 8-10 hours.